You must be a member of the Paris Discovering Japan Group to attend this activity. Would you like to join this group? If you had a chance to catch the Foujita Expo @ Musée Maillol a few months ago, then you (re)discovered this amazing Artist! 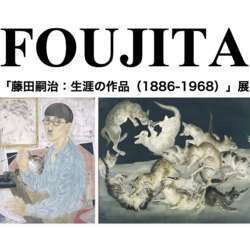 Here’s a new opportunity to see about 40 paintings of Foujita san spanning several decades. I’ll send meeting details the day before.